"It's a boy! 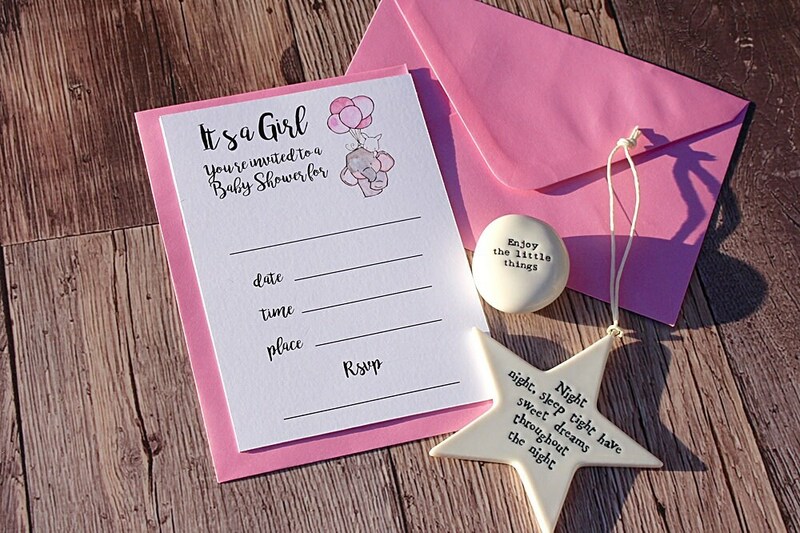 Please join us for a baby shower for ..."
"It's a girl! 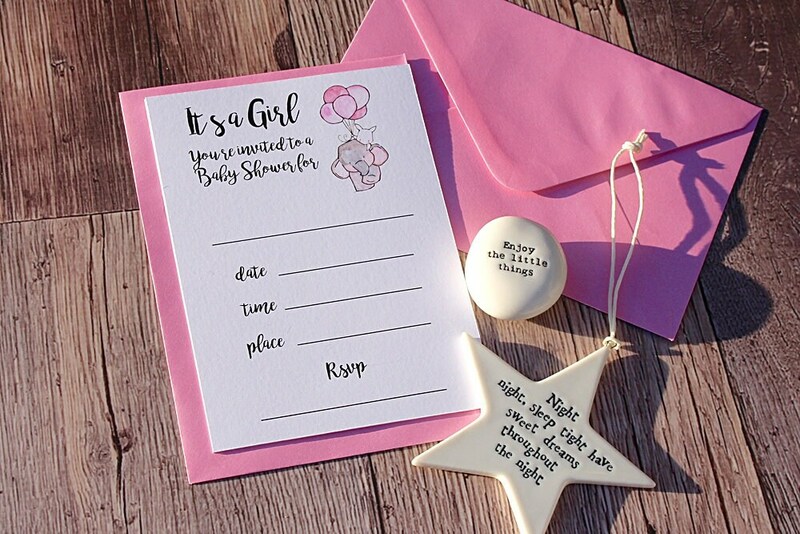 Please join us for a baby shower for ..."
"Please join us for a baby shower in honour of ..."
"Please join us for a baby shower in honor of ..."
"Oh Baby! 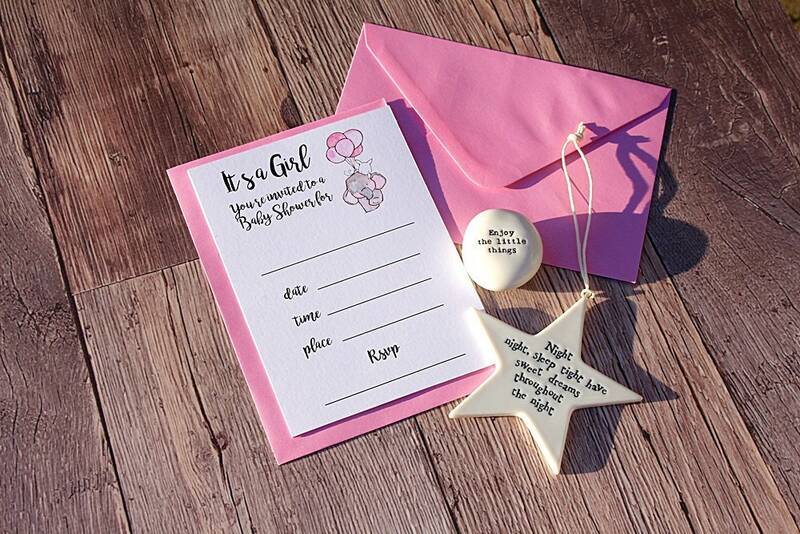 Please join us for a baby shower for..."
However other wording option and layouts are available in my shop so please take a look! 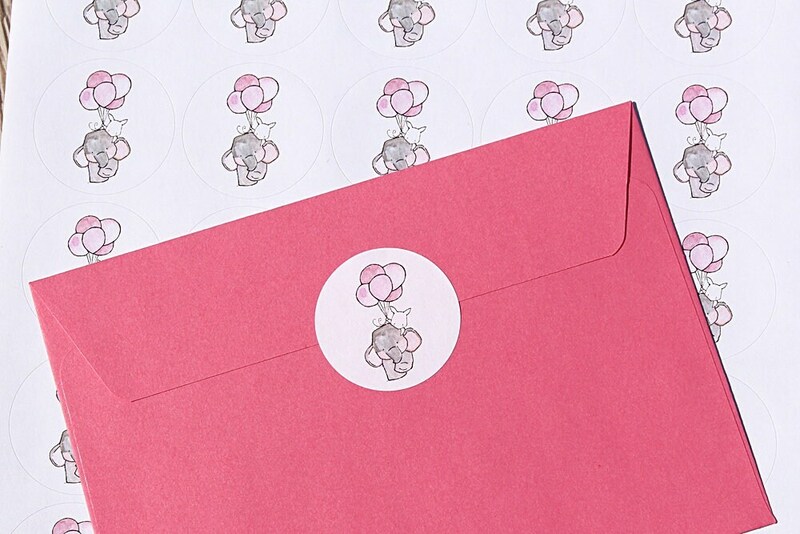 The cute elephants on these invitations are gender neutral and are perfect for baby boys or girls. 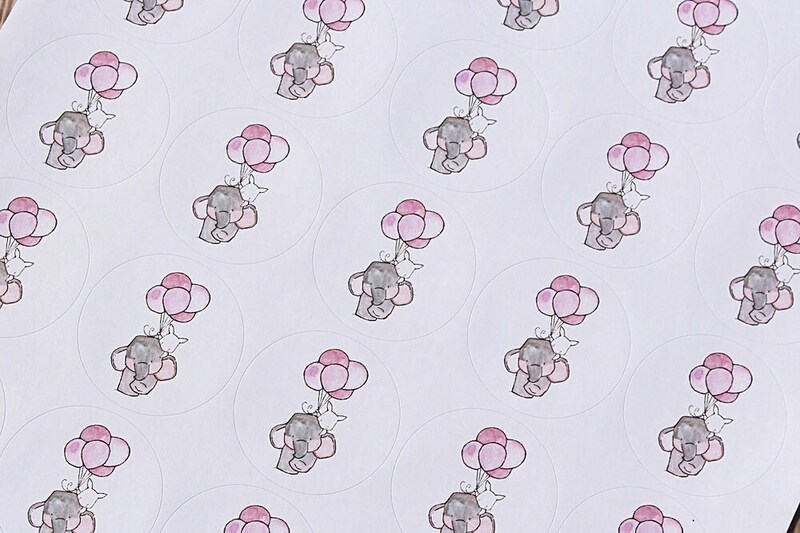 Matching 37mm round stickers are also available!